Police Major General Emmanouil Sfakianakis is the Head of the Hellenic Police/Cyber Crime Division. He joined the Police Force -33- years ago, -21- of which are dedicated to the investigation of electronic crimes. He leads the Electronic Crime of the Hellenic Police since 1995 when he started alone as one-man-team, on 2004 the Cyber Crime Unit was established and till today it has been promoted to Cyber Crime Division commanded by him all the time. He studied computer analysis and programming, has been trained in London on crime concerning counterfeit currency (Plastic Crime) and, moreover, he has been trained by the FBI on matters regarding terrorism over the internet (Cyber Terrorism). 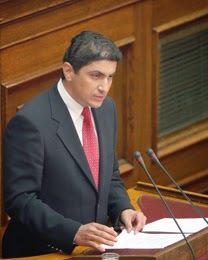 During his long-term career in the Hellenic Police, he has handled more than -8.500- cases involving serious cybercrime till 2015. He has participated as a keynote speaker from year 2001 to 2015 in -851- national and international conferences of INTERPOL - EUROPOL - universities - international organizations - multinational companies etc. He has organized up-to-date meetings via teleconferencing in -5.140- educational institutions of our country from October 2014 till February 2015, as well as and -218- workshops in various cities in Greece concerning the SAFE INTERNET initiative. 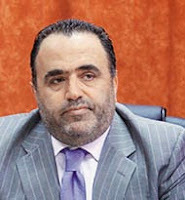 In 2012, 2013, 2014 and 2015 he organized, as Head of the Hellenic Police/Cyber Crime, the -4- Conferences that were held for the World Day of the Internet and had international reach. He is also a professor for the Police Academy and the Officers' Post Training School of the Hellenic Police. Ο Λευτέρης Αυγενάκης γεννήθηκε στις 18 Ιουλίου του 1972. Είναι παντρεμένος με την Λένα Μπανιά, εκπαιδευτικό και έχει ένα γιο. Σπούδασε Δομικός Κτιριακών Έργων στη Σιβιτανίδειο Σχολή και Τοπογράφος Mηχανικός στο ΤΕΙ Αθηνών. Παρακολούθησε πρόγραμμα μετεκπαίδευσης στη Διαχείριση και Τεχνολογία Περιβάλλοντος. Τελειόφοιτος του ΠΜΣ του Πανεπιστημίου Πελοποννήσου στην Παγκόσμια Πολιτική Οικονομία και τις Διεθνείς Σχέσεις. Έχει εργαστεί ως Εργοδηγός Δημοσίων Έργων και Τραπεζικό στέλεχος στην Παγκρήτια Συνεταιριστική Τράπεζα. Το Μάρτιο του 2001 ιδρύει την εταιρεία «Επιχειρείν Ε.Ε., Σύμβουλοι Επιχειρήσεων και Τεχνικών Μελετών» με έδρα το Ηράκλειο την οποία διατηρεί μέχρι και σήμερα. Το Μάρτιο του 2004 πολιτεύεται για πρώτη φορά στο νομό Ηρακλείου με την Νέα Δημοκρατία. Στις εθνικές εκλογές το Σεπτέμβριο του 2007 εκλέγεται 2ος βουλευτής στο νομό Ηρακλείου ενώ στις εθνικές εκλογές τον Οκτώβριο του 2009 έρχεται 1ος σε σταυρούς στο ψηφοδέλτιο της Νέας Δημοκρατίας στο νομό Ηρακλείου μέχρι και σήμερα. Στις εθνικές εκλογές της 17ης Ιουνίου 2012 επανεκλέγεται βουλευτής με την Νέα Δημοκρατία στο νομό Ηρακλείου. Στις εκλογές της 25ης Ιανουαρίου 2015 επανεξελέγη και το Μάρτιο 2015 εκλέγεται Τομεάρχης Υποδομών, Μεταφορών και Δικτύων της Νέας Δημοκρατίας. Κατά την Κοινοβουλευτική του θητεία υπήρξε μέλος της διαρκούς επιτροπής Μορφωτικών Υποθέσεων καιΚοινωνικών Υποθέσεων, μέλος της μόνιμης επιτροπής Τεχνολογίας και Έρευνας της Ειδική Μόνιμης Επιτροπής Περιφερειών και για μακρά περίοδο της επιτροπής Παραγωγής και Εμπορίου. 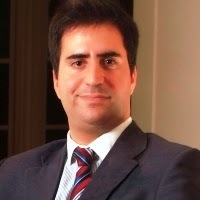 Ilias Chantzos is Senior Director of Symantec’s Government Relations and Public Affairs programmes for Europe, Middle East & Africa (EMEA) and Global Advisor for Critical Infrastructure and Data Protection. Chantzos represents Symantec before government bodies, national authorities and international organisations advising on public policy issues with particular regard to IT security and data risk management and availability. Prior to this role in Symantec Chantzos managed the Symantec Government Affairs Programs for EMEA and Asia Pacific Japan (APJ). Before joining Symantec in 2004, Chantzos worked as legal and policy officer in the Directorate General Information Society of the European Commission focusing on information security policy. He covered the council of Europe Cybercrime Convention and the Framework Decision on Attacks against Information Systems. In addition, he managed a number of EU legislative initiatives relevant to information society and security, including directives on Privacy on Electronic Communications, the Data Retention Directive and the European Network and Information Security Agency (ENISA). He also represented the European Commission in various international debates and conferences. Christos Douligeris, currently a professor at the department of Informatics, University of Piraeus, Greece held positions with the Department of Electrical and Computer Engineering at the University of Miami. He was an associate member of the Hellenic Authority for Information and Communication Assurance and Privacy and the President and CEO Hellenic Electronic Governance for Social Security SA. Dr. Douligeris has published extensively in the networking scientific literature and he has participated in many research and development projects. He is the co-editor of a book on ‘‘Network Security’’ published by IEEE Press/ John Wiley and he is on the editorial boards of several scientific journals as well as on the technical program committees of major international conferences. His recent involvement in EU funded research includes ImmigrationPolicy2.0 which addresses the issues of immigrants and their integration through ICT and CYSM, which addresses the various aspects (including cyberterrorism) of security in Port information systems. His main research interests lie in the areas of communications, networking security, cybersecurity, immigration policies and the use of technology in all aspects of addressing immigration issues, web science, data analytics, and emergency response operations. Daniel Drewer is Head of the Data Protection Office of the European Police Office. He holds a Masters Degree in Law from the University of Hamburg (Germany). Daniel Drewer worked as legal advisor for a media group before starting further professional training at the Hanseatic Court of Appeal. During this time he had been seconded to Eurojust, Europol and to the Data Protection Authority of the City of Hamburg. At the European Police Office in The Hague, his first post was as a lawyer in the area of corporate standards. He went on to become Confidentiality Officer with responsibility in the area of data security, handling of classified information and security clearances. After that he became Head of the Data Protection and Confidentiality Unit with responsibility for policy and information assurance regarding the processing of law enforcement data at Europol. 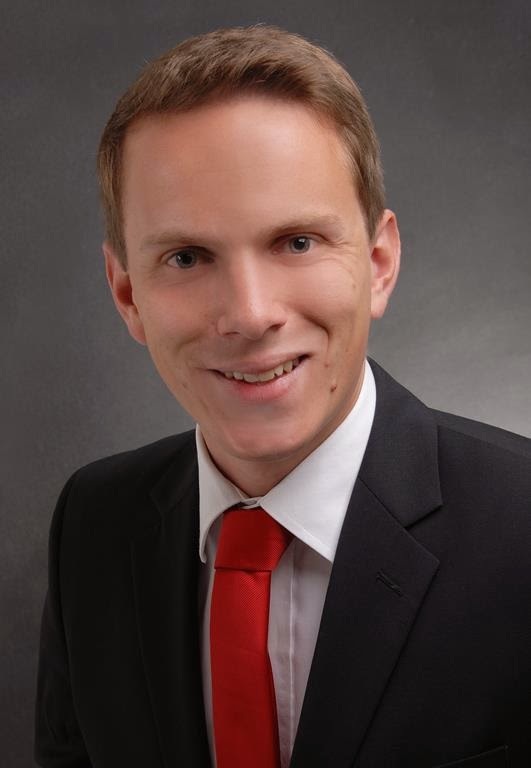 Henning Hofmann studied law at the University of Passau, Germany and after his examinations commenced working as a researcher at the Institute for Public Law, Security Law and Internet Law (Prof. Dr. Dirk Heckmann). In the summer of 2014 he also took up the role as the scientific coordinator of the DFG Research Training Group 1681 “Privacy. Forms, Functions, Transformations” organizationally linked to the Faculty of Humanities and the Faculty of Law at the University of Passau. His areas of scientific research include electronic commerce as well as questions of privacy in a digitalized world and new technological challenges to the work of law enforcement. Yonas Leguesse is an Expert in Network and Information Security at ENISA. He is one of the latest additions to the Agency, providing training in various topics, focusing mainly on Mobile Technologies and Incident Handling. Before joining the agency he was working for The Malta Information Technology Agency, and formed part of the Information Security Department. He also has experience in a Law Enforcement Agency, and has a background in software development. 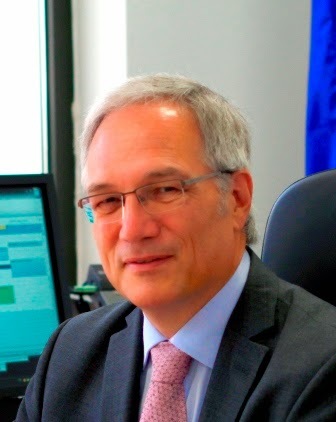 Dr. Louis Marinos, is senior expert at ENISA in the area of Risk and Threat Management with extensive experience in the management and operation of security and the coordination of European expert groups. 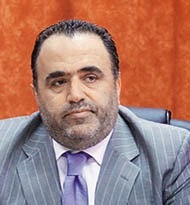 Currently, he is responsible for Projects in the area of Emerging Threat Landscape. 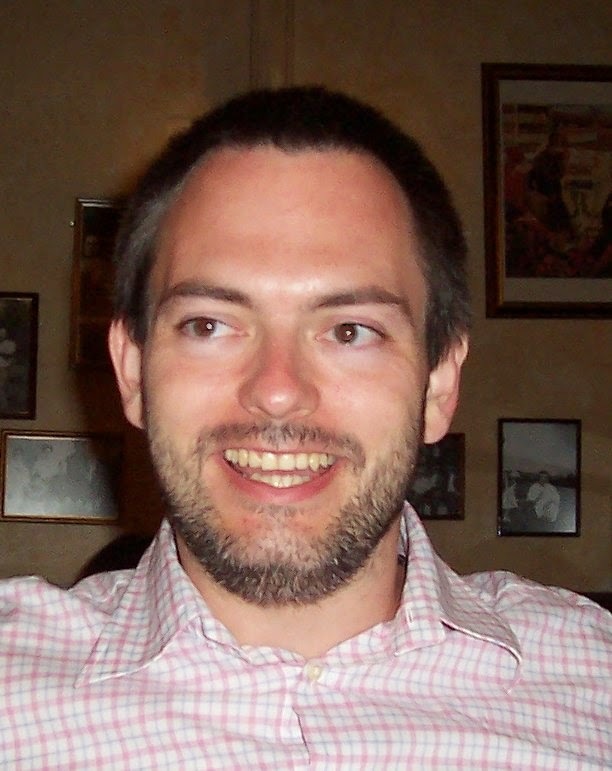 He is the author and main responsible of the ENISA Threat Landscape. His expertise is on: Threat Analysis, Risk analysis, Risk Management and Business Continuity Planning, including SMEs, Member States and Critical Information Infrastructure Protection. Assessment and management of Emerging and Future Risks, Threats and trends hereof. Integration of Risk Management with operational and governance processes. Strategic consulting in the area of security for major firms in the financial, telecommunication and commercial sectors. Security management with regard to critical business areas, such as financial institutions, B2B and telecommunications. 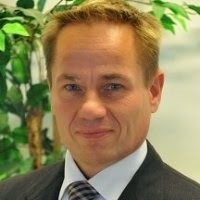 Lauri Palkmets is an Expert in Computer Security and Incident Response at ENISA. At ENISA he has been improving and extending CERT training material, and providing technical trainings for EU Member States. Before joining the agency he was working for the Estonian Defence Forces as head of Cyber Incident Response Capability. Lauri Palkmets holds MSc in the area of Cyber Security from the Tallinn University of Technology and University of Tartu. 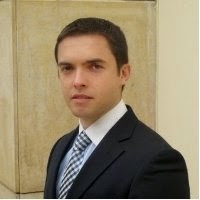 Michalis Samiotakis currently serves as a Manager in the Technology Governance and Security practice, in PwC. He has over than 10 years of IT related experience providing consulting services in the fields of Technology Governance, Risk and Compliance, helping clients to gain value from their investments in IT and Security. He has worked with a broad range of major companies and within highly regulated environments; such as the telecom and the financial sector, helping them assess, design and implement IT controls and processes to reduce risk and enhance operations. He holds a B.Sc. in Software Engineering, a M.Sc. in Information Security & Computer Crime from the University of Glamorgan (UK) and a M.Sc. in Management of Business, Innovation & Technology (MBIT) from Athens Information Technology (AIT). He is the President of the Information Audit and Control Association (ISACA) Athens Chapter since January 2014. For the period from 2011 to 2013, he was also appointed as the PwC Greece‘s Chief Information Security Officer, responsible for the design and implementation of the organisation-wide Information Security Management System (ISMS) which is ISO 27001:2013 certified. Peter Schaar is Chairman of the European Academy for Freedom of Information and Data Protection (EAID), former German Federal Commissioner for Data Protection and Freedom of Information (2003-2013). Mr. Schaar was born in Berlin in 1954 and has a degree in Economics. From 1979 to 1986 various functions in the public administration.1986 to 2002 in the office of Hamburg’s Data Protection Commissioner, initially as the head of the technology unit and later as deputy commissioner. 2002/2003 founder and managing director of a consulting company for data protection. From 2003 to 2013 Federal Commissioner for Data Protection and Freedom of Information. Since 2007 guest lecturer at the University of Hamburg. 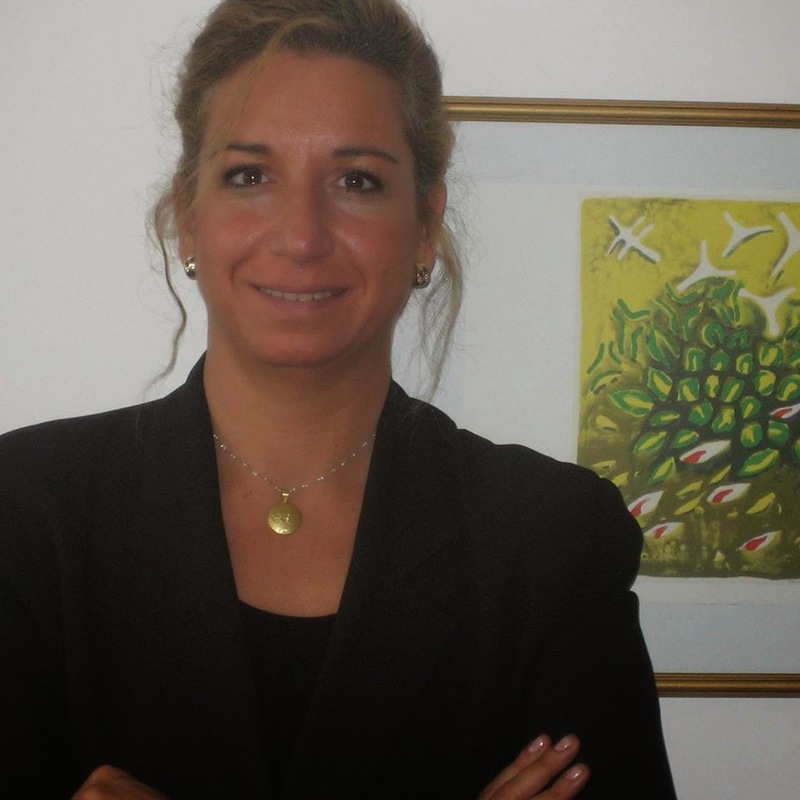 Dr. Irini E. Vassilaki is attorney- at-Law specialising in Information Law, Media Criminal Law and Economic Criminal Law and associate professor at the Faculty of Law of the University of Goettingen since 2002. She is also teaching in the University of Oldenburg IT-Criminal Law and Legal Informatics and in the Technological Educational Institute of Crete Commercial Law. She is member of several international boards, such as the "Legal Advisory Board" of the EU, in Committees of the Council of Europe and of UN and member of the Executive Board of Associations, e.g. the “German Foundation for Law and Informatics” and the Greek “Scientific Council for the Information Society”, that work on the area of Law and Informatics. Dr. Vassilaki is additionally member of the Board of Editors of scientific Journals (e.g. "Computer Law and Security Report", "Computer und Recht", "Kommunikation und Recht", "Recht der Datenverarbeitung", "IT-Rechts-Berater", European Review for ICT/Law). With an international experience of 20 years and more than 100 publications Dr. Vassilaki belongs to the ground-breaking European lawyers in the area of Information Law. Antigoni Papanikolaou is the Legal & Corporate Affairs Director for Microsoft Greece, Cyprus & Malta. She received her law degree from Aristotle University of Thessaloniki, Greece, and holds a LL.M from the College of Europe, Belgium, on European Legal Studies. Within the framework of ERASMUS Program, she also attended the LL.M program on EU Law of the University of Leuven, Belgium. Antigoni also did a training with the Commission of European Union, Belgium, and had an internship at the European Court of First Instance, Luxembourg, first at the Cabinet of the Belgian Judge, Prof. Koen Lenaerts and then of the Greek Judge, Mr. Michael Vilaras. Prior to joining Microsoft, Antigoni worked as associate lawyer to “Helen M. Papaconstantinou & Associates, Athens, and then as in-house legal counsel for “Coca-Cola Hellas SA”, Athens, where, among others, supported the local sponsorship activation and the Torch Relay program of “The Coca-Cola Company” for Athens 2004 Olympic Games. Afterwards, she moved as in-house counsel to “Papastratos CMC SA”, a Philip Morris International Affiliate, Athens, where she was in charge, among others, of the legal support of sales and marketing departments of the company and member of their management teams. At 2012, Antigoni joined “Microsoft Hellas SA”, Athens, as Legal & Corporate Affairs Director for the Greek entity and in her current role supports the Greek, Cypriot and Maltese business units on a wide range of commercial matters with a special emphasis on Cloud Computing, IP licensing, antitrust, privacy and compliance while she is also member of the local Leadership team. Steve Purser was born in the UK and attended the universities of Bristol and East Anglia where he obtained a BSc. in Chemistry and a PhD in Chemical Physics respectively. He started work in 1985 in the area of software development, subsequently progressing to project management and consultancy roles. From 1993 to 2008, he occupied the role of Chief Information Security Officer for a number of financial institutions. He joined ENISA in December 2008 and is currently responsible for all operational activities of the Agency. Steve is currently a member of several Steering Boards and Advisory Committees, including notably the Steering Board of the CERT EU and the Programme Board of the EU Cyber Crime Centre. In the area of standards, he is the ENISA representative on the ISO SC 27 working group. As Head of Core Operations, he regularly represents ENISA in international conferences on information security. He was a co-founder of the 'Club de Securité des Systèmes Informatiques au Luxembourg' (CLUSSIL) and has frequently published articles in the specialised press. He is also the author of 'A Practical Guide to Managing Information Security' (Artech House, 2004). Dr. Andreas Mitrakas, LL.M., M.Sc., is a Head of Unit – Quality and Data Management in the European Union Agency for Network and Information Security (ENISA). He has previously served as Senior Counsel in Ubizen/Cybertrust (currently Verizon) and as General Counsel in GlobalSign NV/SA. He is a licensed attorney and a member of the Athens Bar Association, as well as of ACM, ISACA, ASQ, etc. He holds a doctorate in Law (Erasmus School of Law, Rotterdam, 1997), a Master’s in Computers and Law (Queen’s University of Belfast, 1990), a Master’s in Strategic Quality Management (Portsmouth Business School, 2015) and a law degree (Athens Law School, 1990). 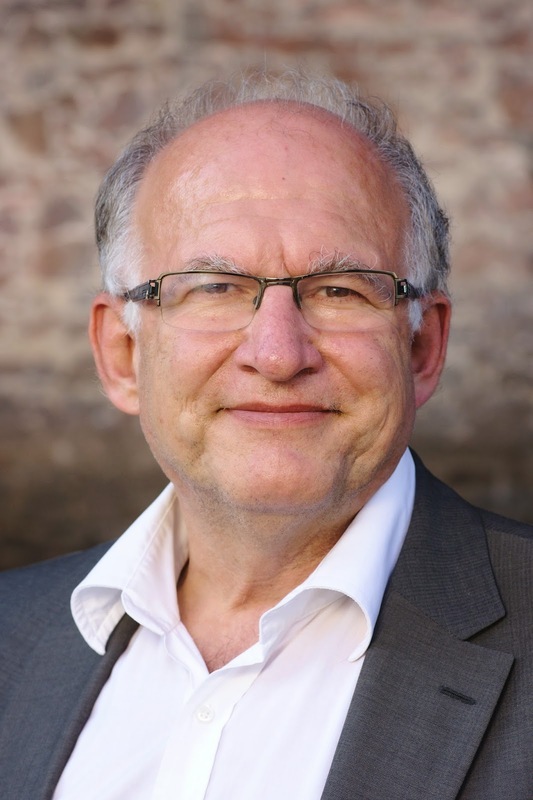 Prof. Dr. Udo Helmbrecht has more than 35 years of professional management experience in the IT sector. Konstantinos Fysarakis is a member of the Network & Information Security Lab of the Department of Informatics Engineering, TEI Crete and a PhD candidate at the Department of Electronic & Computer Engineering of the Technical University of Crete. His interests revolve around the security & dependability of embedded systems and the challenges that arise with the wider adoption of ubiquitous computing. 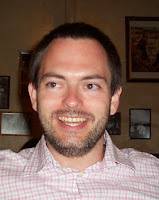 He holds an MSc in Information Security from Royal Holloway, University of London and a BSc in Applied Mathematics from the University of Crete. He is an IRCA certified ISO 27001:2005 auditor and a member of the IEEE. Contact him at kfysarakis@isc.tuc.gr.